After “the Belt and Road” strategy was proposed and put into effect, a new round Sinomania is coming to us. This situation brings new requirement of Mandarin teacher and course. 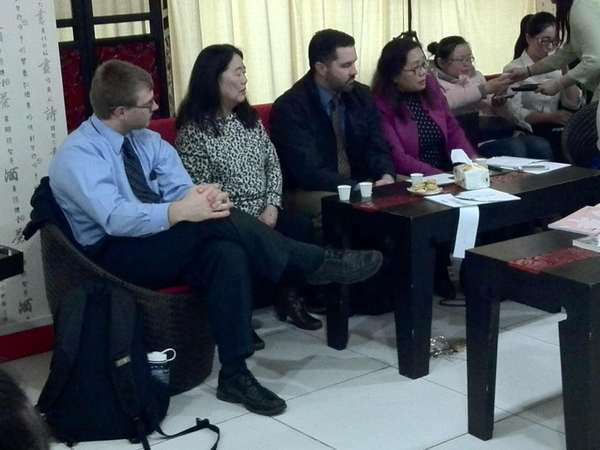 In order to let more Americans know the developing of Mandarin teaching and Chinese education industry, the dean of University of Idaho Confucius Institute, one of 500 Confucius Institute all of world, led a 12-member-delegation visiting Shanghai.The delegation members were primary and secondary school teachers. 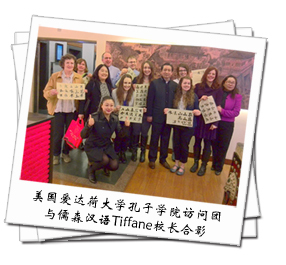 They exchanged teaching experience with teaching team of Mandarin Garden, a teaching Chinese as foreign language institute. The visitors appreciated Chinese cultural activities such as Guzhen playing and tea ceremony performance, experienced Chinese language course and the charm of Chinese calligraphy. Moreover visitors and hosts made an academic exchange on teaching Chinese as foreign language. The Chinese dean of University of Idaho Confucius Institute, Ms. Xue Hexian said the Chinese teacher was provided by Hanban all the time. She hoped to find new partner via this visiting, to provide high quality Chinese teacher for Confucius Institute and make effort to make high quality Chinese course together. Ms. Xue also indicated that as Chinese enterprises is going abroad and Sino-American economic relationship becomes closer and closer, there are more and more Americans learn Chinese in recent years. Chinese language is more interested in the place with higher level of cultural diversity. Some people learn Chinese because of interest and some other learn Chinese because of working requirement. This Shanghai visiting is the first step for University of Idaho Confucius Institute seeking cooperation with Mandarin teaching enterprise. Prev: What is the Chinese Pinyin system?